Zymar is used for treating eye infections caused by certain bacteria. Zymar drops is a fluoroquinolone antibiotic. It works by stopping the production of proteins that bacteria need to survive. Some MEDICINES MAY INTERACT with Zymar drops. Because little, if any, of Zymar drops is absorbed into the blood, the risk of it interacting with another medicine is low. Tell your health care provider if you are taking any other medicines. Ask your health care provider if Zymar drops may interact with other medicines that you take. Check with your health care provider before you start, stop, or change the dose of any medicine. Use Zymar drops as directed by your doctor. Check the label on the medicine for exact dosing instructions. Zymar drops is only for the eye. Do not get it in your nose or mouth. To use Zymar drops in the eye, first, wash your hands. Tilt your head back. Using your index finger, pull the lower eyelid away from the eye to form a pouch. Drop the medicine into the pouch and gently close your eyes. Immediately use your finger to apply pressure to the inside corner of the eyelid for 1 to 2 minutes. Do not blink. Remove excess medicine around your eye with a clean, dry tissue, being careful not to touch your eye. Wash your hands to remove any medicine that may be on them. Remove excess medicine around your eye with a clean tissue, being careful not to touch your eye. Wash your hands to remove any medicine that may be on them. If you are using other kinds of eye drops, wait at least 5 minutes before applying the other medicines. Do not wear contact lenses while you are using Zymar drops. Take care of your contact lenses as directed by the manufacturer. Check with your doctor before you use them. Zymar drops works best if it is used at the same time each day. To clear up your infection completely, use Zymar drops for the full course of treatment. Keep using it even if you feel better in a few days. Discard the medicine if it changes color, turns cloudy, or if it contains particles. If you miss a dose of Zymar drops, use it as soon as possible. If it is almost time for your next dose, skip the missed dose and go back to your regular dosing schedule. Do not use 2 doses at once. Ask your health care provider any questions you may have about how to use Zymar drops. Zymar drops may cause temporary blurred vision. Use Zymar drops with caution. Do not drive or perform other possibly unsafe tasks if you cannot see clearly. Long-term or repeated use of Zymar drops may cause a second infection. Tell your doctor if signs of a second infection occur. Your medicine may need to be changed to treat this. Be sure to use Zymar drops for the full course of treatment. If you do not, the medicine may not clear up your infection completely. The bacteria could also become less sensitive to this or other medicines. This could make the infection harder to treat in the future. Zymar drops may cause harm if it is swallowed. If you may have taken it by mouth, contact your poison control center or emergency room right away. Zymar drops should not be used in CHILDREN younger than 1 year old; safety and effectiveness in these children have not been confirmed. PREGNANCY and BREAST-FEEDING: If you become pregnant, contact your doctor. You will need to discuss the benefits and risks of using Zymar drops while you are pregnant. It is not known if Zymar drops is found in breast milk. If you are or will be breast-feeding while you use Zymar drops, check with your doctor. Discuss any possible risks to your baby. Bad taste in the mouth; blurred vision; eye discharge; headache; irritation, pain, dryness, or redness of the eyes; itchy eyes; tearing; watery eyes. Severe allergic reactions (rash; hives; itching; difficulty breathing; tightness in the chest; swelling of the mouth, face, lips, or tongue); persistent eye redness; swelling of the eye or eyelid. Store Zymar drops between 59 and 77 degrees F (15 and 25 degrees C). Store away from heat, moisture, and light. Do not freeze. Do not store in the bathroom. Keep Zymar drops out of the reach of children and away from pets. If you have any questions about Zymar drops, please talk with your doctor, pharmacist, or other health care provider. Zymar drops is to be used only by the patient for whom it is prescribed. Do not share it with other people. This information should not be used to decide whether or not to take Zymar drops or any other medicine. Only your health care provider has the knowledge and training to decide which medicines are right for you. This information does not endorse any medicine as safe, effective, or approved for treating any patient or health condition. This is only a brief summary of general information about Zymar drops. 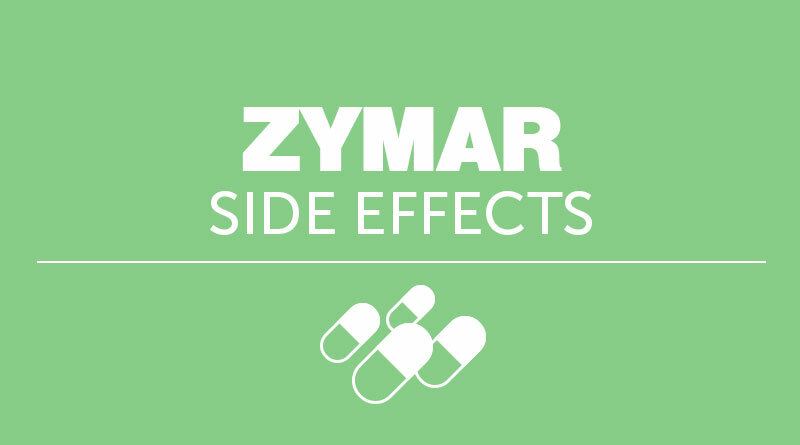 It does NOT include all information about the possible uses, directions, warnings, precautions, interactions, adverse effects, or risks that may apply to Zymar drops. This information is not specific medical advice and does not replace information you receive from your health care provider. You must talk with your healthcare provider for complete information about the risks and benefits of using Zymar drops.